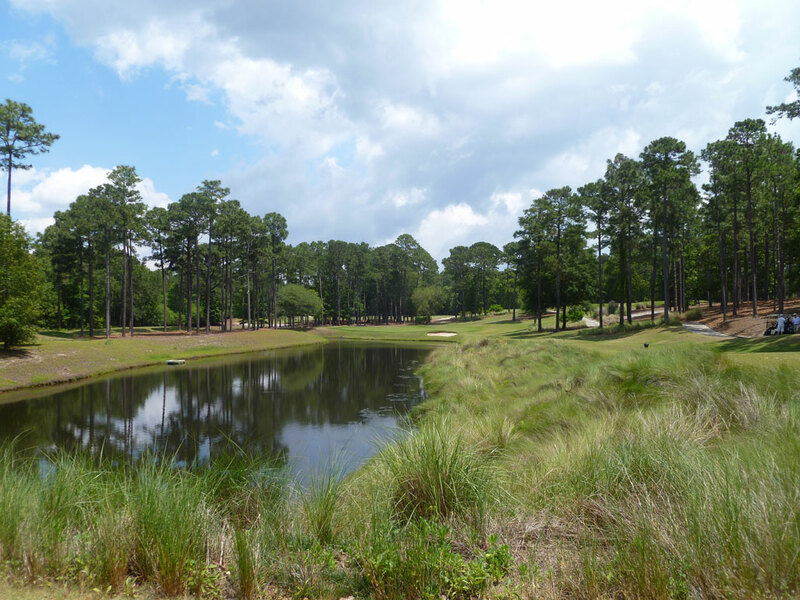 Course Website: Official Website - Visit TPC Myrtle Beach's official website by clicking on the link provided. 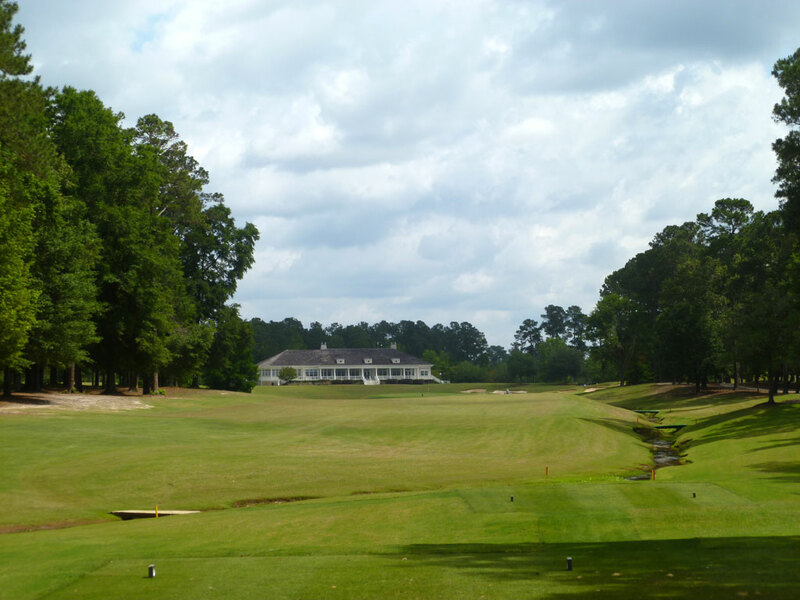 Accolades: Ranked 7th in South Carolina on Golf Course Gurus' Best in State list. What to Expect: Adorned in memorabilia dedicated to local PGA star Dustin Johnson, the TPC Myrtle Beach course is designed with tournament play in mind. 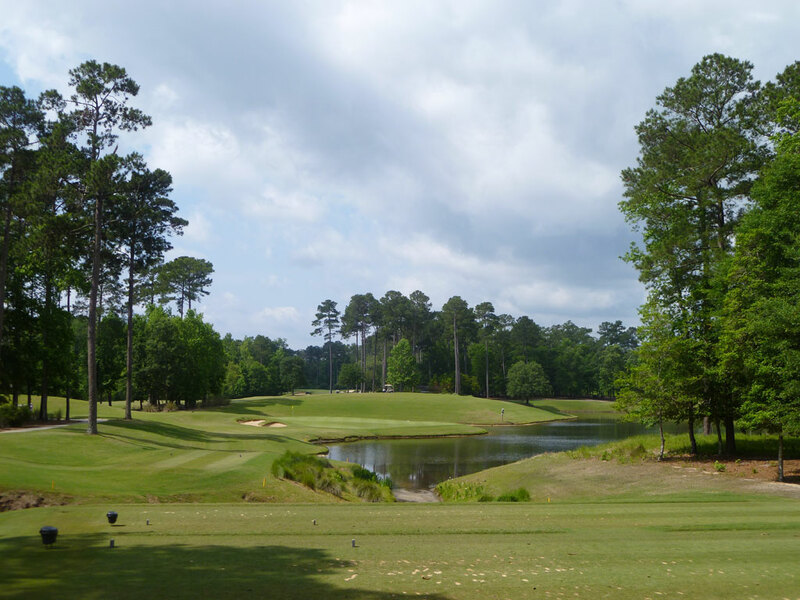 Laid out through mature trees with oodles of bunkers and water hazards coming into play, the course delivers a PGA Tour worthy challenge and facilities. 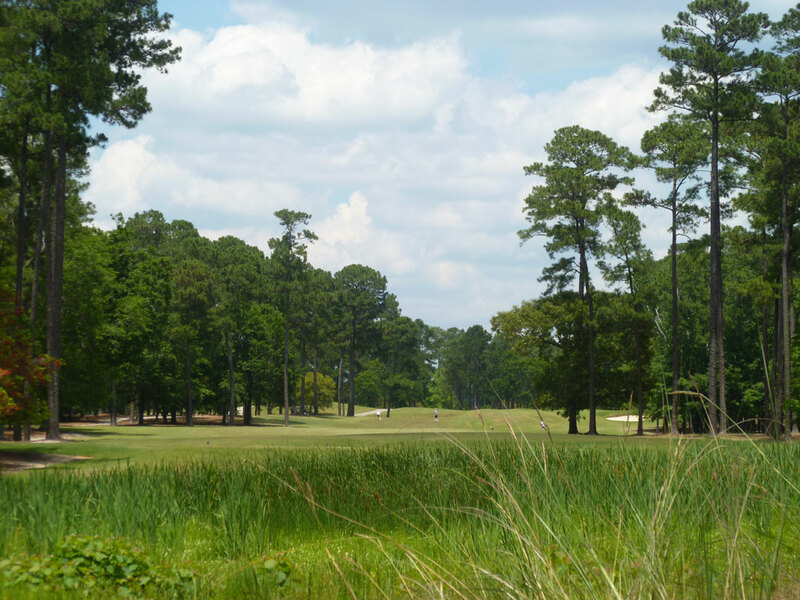 You can fully expect to see an abundance of wildlife during your round at TPC Myrtle Beach, most commonly gray squirrels, wild turkeys, and alligators. I have limited exposure to the courses in South Carolina and Myrtle Beach, but with TPC’s current ranking outside the Top 10 in the state, I need to spend more time in the south because this course is really good! Signature Hole: 17th Hole – 193 Yard Par 3 – The final par three at TPC Myrtle Beach is also it's best. The peninsula green presents a formidable challenge to hit and the undulated, tiered putting surface means that even a green in regulation doesn't guarantee par. The bunker sitting short and left of the green may give you second thought on being too cautious when staying away from the water on the right. This is a great hole during match play, particularly this late in the round. Best Par 3: 5th Hole – 158 Yards – Not as challenging as the 17th, but equally as attractive, the 5th is an appealing one-shotter that plays over water to a green fronted by a single bunker. The water continues to wrap around the left side of the green so there is no safety if the dreaded pull rears its ugly head. The slightly elevated tee provides a nice view of this green and the isolated surroundings. Best Par 4: 16th Hole – 390 Yards – The closing three holes are an impressive stretch at TPC Myrtle Beach and it begins with this medium length par four. The tee shot plays past a pond to a fairway pinched on each side by a fairway bunker. The drive isn't the challenge here though, the approach shot to a small elevated green fronted by bunkers is where the teeth really comes in. Pars don't come easy here . . . or on any of the final holes. Best Par 5: 18th Hole – 538 Yards – Perhaps the best finishing hole in Myrtle Beach, the 18th is an excellent risk/reward offering. Off the tee players must contend with a meandering creek down the right side of the fairway and trees framing the left. If you avoid the trouble, the green can be attacked in two where a large pond hugs the entire left side while a pair of bunkers sit on the right. Scores on the final hole can vary from birdie to double bogey in a matter of one swing. Birdie Time: 12th Hole – 333 Yard Par 4 – It is time to take a stroke back here at the driveable 12th where players are encouraged to take a rip at the green. The fairway slopes from right to left and there are no bunkers up the right side so everything in the design begs you to keep it up the right half of the fairway enroute to the green. 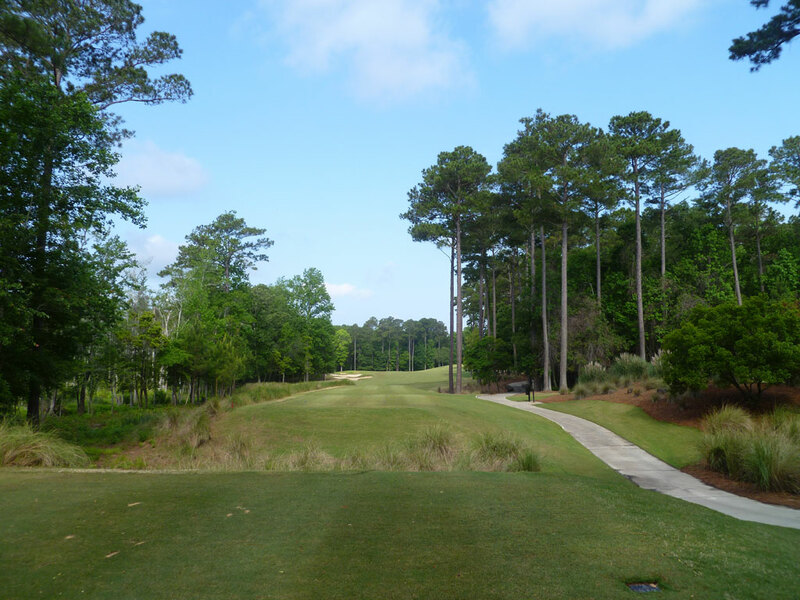 Whether you choose to lay up or go for it all, this is your best chance of birdie at TPC Myrtle Beach. 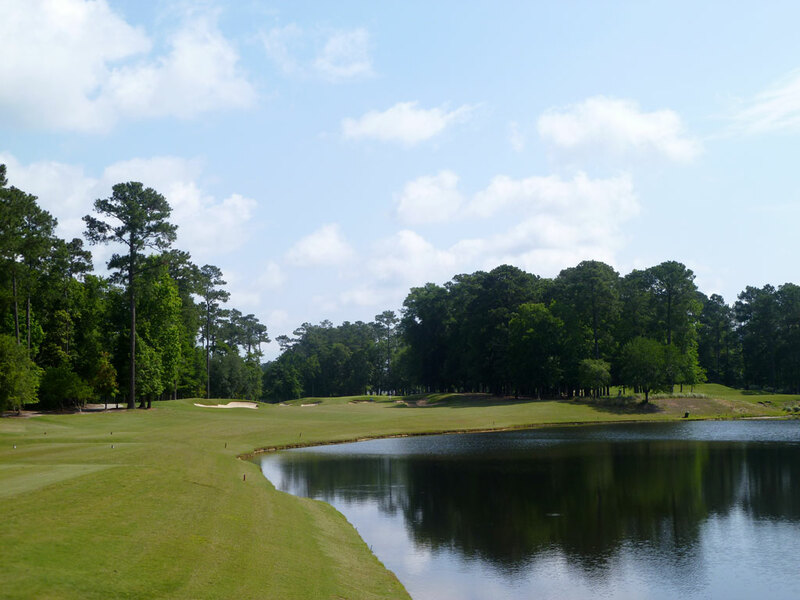 Bogey Beware: 9th Hole – 472 Yard Par 4 – If you are on pace for a personal record during the front nine at TPC Myrtle Beach, Tom Fazio is going to try and derail your pace with the 9th. At 472 yards, this hole is already a brute, but add a pond positioned on the right side of the driving zone followed by an elevated approach shot and you have a flat out mean hole. Avoiding a bogey is a rare accomplishment here.